UNO is Nebraska's metropolitan university — a university with strong academic values and significant relationships with our community that transforms and improves life. UNO is dedicated to the city and state in our name. As the University of Nebraska's metropolitan university campus, no fences or barriers separate students from the opportunities offered by the greater Omaha area. We address real issues, providing relevant learning opportunities that uniquely prepare our graduates as professionals and active members of their community. UNO is located in the heart of Omaha, Nebraska, its roads winding through city parks and thriving neighborhoods, creating an extraordinary connection that few universities have achieved. The city itself has truly become a part of the UNO campus. UNO's economic impact through direct, indirect, and charitable services. On Wednesday, January 13, 2016, Barack Obama, the 44th President of the United States, visited UNO. 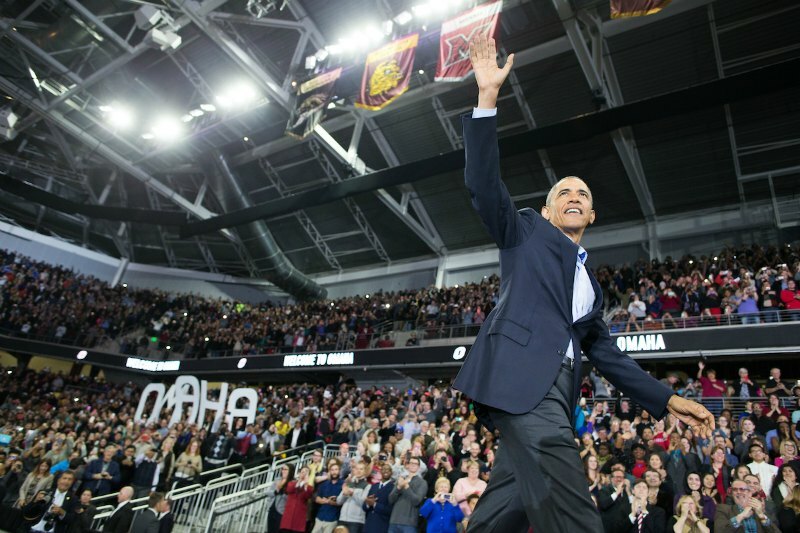 More than 10,000 people packed UNO's Baxter Arena to hear the President speak. His visit came the day following his final State of the Union address.